It goes without saying that safety should be your first priority. A strong safety culture protects your employees, equipment, and organization as a whole. So what happens if you encounter resistance when developing or changing your process? Here are four common safety culture barriers, as well as solutions to get your team’s buy-in and active participation. Confusion or uncertainty over roles and responsibilities can lead to backlash when implementing a safety system, so it’s important to establish and uphold clear positions from the beginning. Common situations that can lead to this might include not involving key stakeholders or unions, a lack of demonstrated commitment from leadership, or not providing a channel for employee feedback. Create a safety team involving employees from all levels of management and designate specific employees for various roles. Make it easy for employees to contact and provide feedback to this team, and liaison with outside stakeholders as needed. Ask your leadership to help actively champion safety efforts and campaigns. Building the right environment for a safety management system doesn’t happen overnight, so it’s normal to experience bumps or setbacks as it’s adopted across an organization. Make sure that your system and structure are designed to support your teams, and don’t be afraid to grow or scale back as needed. Also provide a clear transition plan and communicate updates and progress frequently. Allow plenty of time for change and recognize all positive developments (even small improvements). Whether it’s making changes to an existing system or rolling out a new one, properly trained employees can become your best advocates for your new safety culture. Be prepared to invest time and money in training and retaining your team members, and allow them to use their expert knowledge to lead the success of a new safety management system. Also remember to account for the time it takes to train team members, change old habits, answer questions, and make adjustments. Address any fears or frustrations as your employees are learning, and make sure their responsibilities are evenly distributed. The attitude of an organization, from top to bottom, affects the success of a safety management system. A lack of trust, or leaders who focus on the past, can frame any change as a negative, so it’s important to work together. Ask leadership to be vocal supporters of your safety program. Address any obstacles or misconceptions quickly. Also encourage employee feedback and conversation in a positive manner and highlight supporters at all levels. Implementing an organizational safety process doesn’t have to be a drag. Remaining transparent and positive, communicating frequently, and encouraging leadership to be strong advocates and supporters will go far in bringing the rest of your team on board. 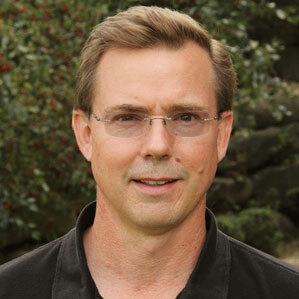 Michael is the safety services manager with Conney Safety Products, a division of WESCO. His team supports the safety service functions for all WESCO and Conney accounts.